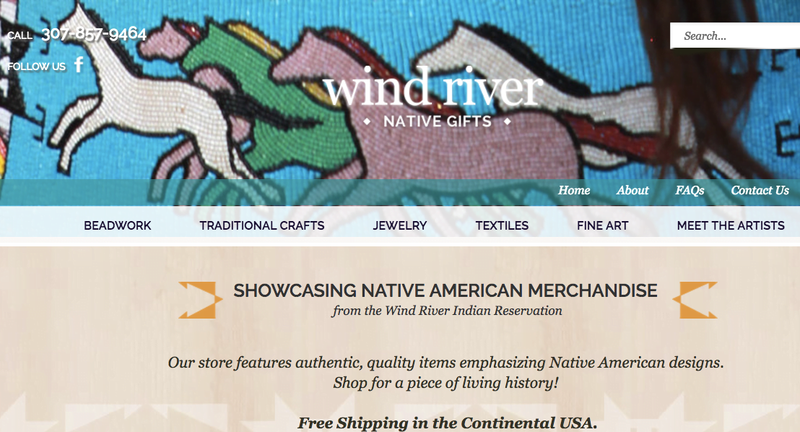 Beadwork is an art form expressed and practiced throughout Native American Tribes. Each tribe has designs, colors, patterns and techniques that they are identified by. There are many styles of beading, but two very distinct types include the lazy stitch—often called lane stitch, and the tack or flat stitch. The lazy stitch is a common technique throughout the Great Plains region and was one o the more traditional styles of beading. It was and still is used for clothing and a lot of the traditional regalia of the Native American people. The beadwork is composed of lanes with many rows of beads. The rows of beads can have up to nine beads at a time. This style of beading is used for many of the geometric designs. The other style of beading is the tack stitch. The tack stitch is used to work with the more detailed and circular designs. Tack beading is a style that is flat and smooth to the touch. It is very refined and is popular with the more contemporary artists. 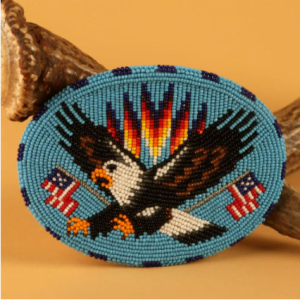 There are many artists that hold onto the traditional beading teachings of the tribal elders, but there are also beaders that have changed with the times and are keeping up with the different trends of today’s modern culture, as is the beadwork. And like all great artwork, each beadwork artist is unique to their own style of beading.